Canine Health: How Diet Affects Oral Health? Healthy Dog Food Recipes. Canine health can be managed with good home made dog food, healthy dog food recipes, and dog nutrition. 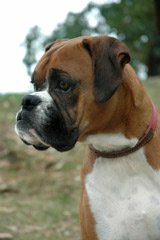 Talk to your vet about the relationship between canine illness and dog food. 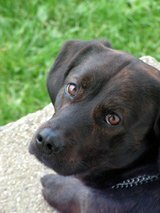 Your pet needs you to manage dog health and nutrition. It's up to you to ensure that your canine is getting good, healthy and nutritious food. It's important to understand that there is a strong relationship between food, canine illness and canine health. Additionally, there is a relationship between taking good care of your pet's mouth and teeth, and the health of your canine. Regular, frequent and proper oral care for your pet will offer better opportunity for overall good general health (and making home made dog food, dog biscuits and treats, and using healthy dog food recipes will have a positive impact on your canine's health and well being. We spend time and money on keeping our pets healthy, happy and trained; we also need to pay special attention to the care of their teeth and gums. Did you know that with humans, there is a link between cardiovascular disease and poor oral health? It is recommended that we floss and brush regularly to maintain as healthy a mouth as possible. It's important that we do what we can to ensure that our teeth, gums and tongue are healthy. It is just as important for our dogs. They need their teeth brushed and gums wiped (daily if possible) to maintain oral health. A damp cloth wiped along their gums and teeth will go a long way in cleaning their mouth. Did you know that what you feed your canine will affect his or her oral health? Whether it is canned dog food, or dry chunks or even home made dog food, these can affect the health of your dog's teeth and gums. Canine treats and dog toys (what they chew on) can affect them as well; both positively or negatively. Pay attention to what you give your canine and make sure it's healthy for their teeth too. For example, a raw carrot is a good treat, provided you don't give your pet too many carrots or too often (because they are high in sugar) - once a week is fine. It's important that the food you feed your pet contains all the essential enzymes, nutrients and vitamins they need for optimum health. Dry dog food tends to be better in this respect, because if it's formulated right, the dry surface will act to "brush" the teeth and help to remove plaque. If you moisten the dry food you feed your canine, you lose this ability of the dry food to brush or scrape your dog's teeth as he or she eats. So try to offer healthy dry dog food as the main part of your dog's diet. Or make your own home made dog food (it can include freeze dried liver or chewy, dried treats to encourage them to chew and work their teeth and mouths). You can make your own canine treats and dog biscuits that are dry and crunchy and are made from healthy dog food recipes; with lots of nutritional ingredients. Pet food stores also supply some treats that are specifically made for dental canine health. But be careful. For example, rawhides, which are easily accessible and loved by dogs, are not the best thing for their oral health. They are also high in calories, and should only be given sparingly. There are other canine treats that are much better (for example, natural dried veal chews); check the ingredients to ensure that the additives are natural (not chemical) and make a nutritionally sound choice for your pet. There are good dog treats that help to reduce tarter on the teeth. Just like with dog food - if the dog treat is hard or crunchy, it tends to be better for your canine. Softer treats do not aid in dental care. Taking care to offer treats that help to keep tarter from building up on their teeth will also help to keep their breath fresh. Ensure the best in canine health by offering dog food and treats that promote healthy oral care as well. Taking care of your dog's mouth will ensure they will be healthy for years. 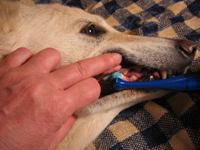 Do you have some tips to share for improving our pet's dental health? Or other health stories to share?